Here's one Halloween party that you shouldn't miss! 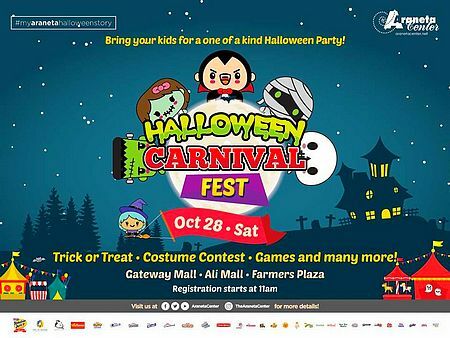 On October 28, every P700 single-receipt purchase from any Araneta Center establishment entitles you to one entrance pass to the Halloween Carnival Fest. The entrance pass includes a loot bag of goodies, free popcorn, free cotton candy, and a slot to the face-painting and hair-styling activities. Araneta Center is at Cubao, Quezon City. For more information, log on to Araneta Center's Facebook page.